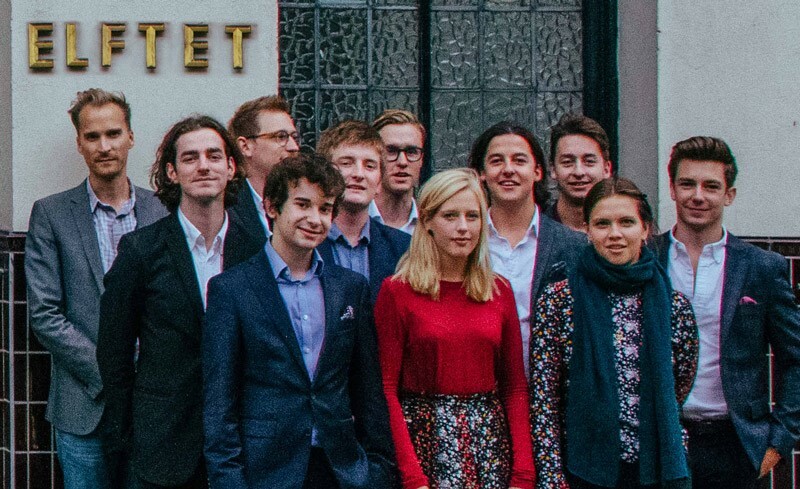 Elftet is an exciting 11-piece jazz band led by 22 year old vibraphonist/drummer and composer Jonny Mansfield who, after being awarded the Colin Murray Scholarship in 2014, began studying at the Royal Academy of Music where he is taught by Jim Hart, Pete Churchill and Gareth Lockrane. As well as the Elftet, Jonny leads other ensembles, including the collaborative trio ‘Crescent. He also performs as a sideman in other bands such as Alberto Palau Quintet, Tom Smith’s Geko, Oliver Mason Quintet, Jam Experiment, Treeclimbers, Rory Ingham’s Quartet and Dom Ingham’s Sextet. He also regularly performs with the National Youth Jazz Orchestra, who recently toured Germany and are playing at the BBC Proms this summer. More recently, Jonny performed in a quintet led by Gareth Lockrane at the 606 club playing the music from the film ‘The Small World of Sammy Lee’, toured the north of England with Chris Potter as part of a Band on the Wall project and was awarded the Richard Turner Award and the Kenny Wheeler Prize from the Royal Academy of Music. Elftet, which was formed in September 2015, offers a wide palette of textures and colours, stretching from the traditional four-horn soundscape to a cutting-edge contemporary classical approach featuring strings and vibraphone. Elftet has already toured the UK, and has since been featured on both BBC Radio 3 and WBGO (New York’s jazz station). Performances feature Jonny’s original compositions, influenced by the likes of Vince Mendoza, Marius Neset and Ravel, along with songwriters such as Norah Jones and James Taylor. Elftet has recently been featured in Jazzwise as ‘who to watch 2018’ so expect a very high energy evening!